Ivanhoe's Guest House - Barrett Adventures the Real Jamaican Adventures. Port Antonio was termed, 'the most beautiful harbour in the world' by the famous sea captain, Lorenzo Dow Baker on his first visit in 1872. He was not wrong. He came back to buy bananas, bring the first modern tourists to the Caribbean and put Jamaica on the tip of everyone's tongue. Ivanhoe's is your home away from home in Jamaica. 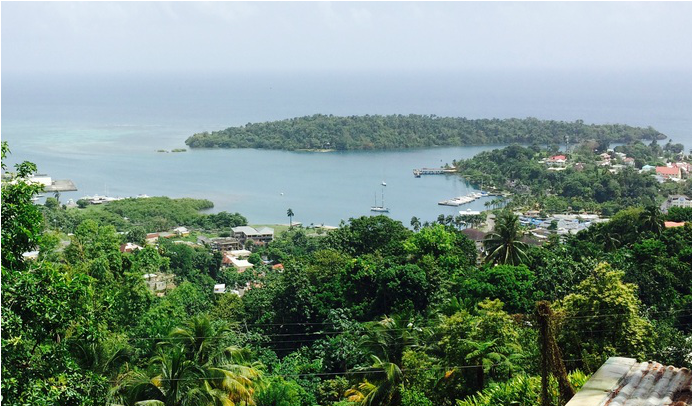 Imagine a light, airy guesthouse on the brow of Titchfield Hill, a peninsula dividing the West Harbour and the East Harbour in the centre of Port Antonio. Ivanhoe's, owned and run most lovingly by Lorna Burke, is your opportunity to get involved with the fun and adventure of the real Jamaica. Your fellow guests will come from all corners of the globe. At breakfast recently, Australia, Germany, Italy and the US were all in the dining room at the same time, exchanging ideas on where to go today. Below the main inn there is a courtyard with a cute two bedroom apartment. If you want a long term rental or just more privacy with cooking facilities and your own courtyard.